Ivory Curtains With Tie Back. 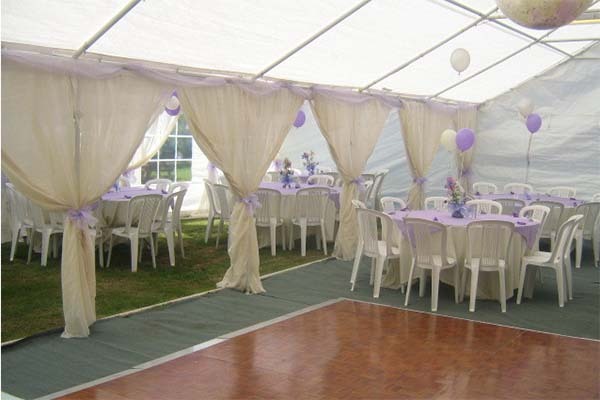 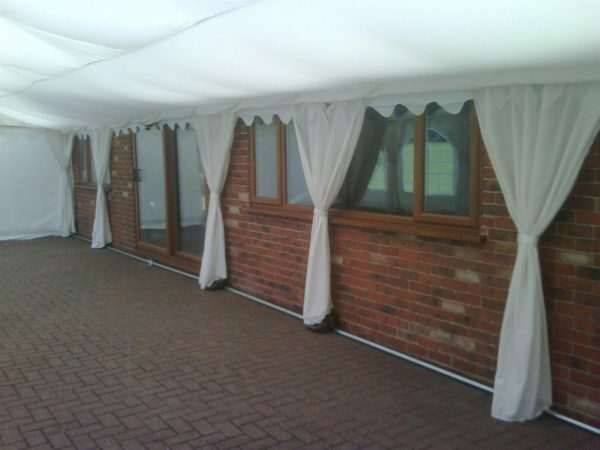 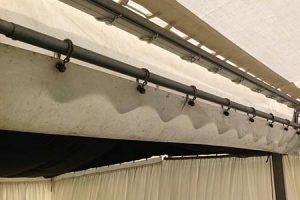 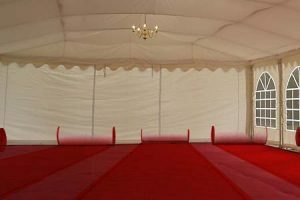 Curtain linings are used to cover all metal marquee leg poles and fix with Velcro tie backs. 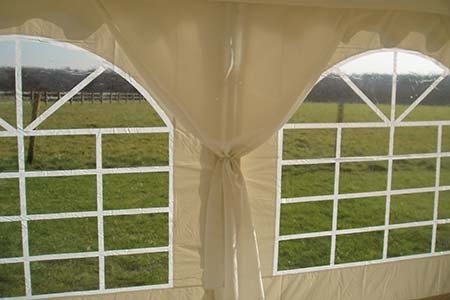 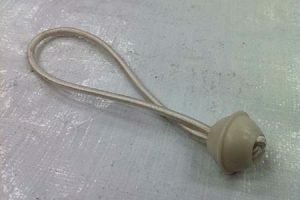 (Curtains are for decoration only and do not actually cover the windows) If you require Full Wall Linings to cover the windows see Wall Linings in Accessories. 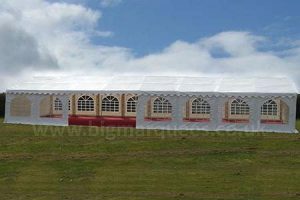 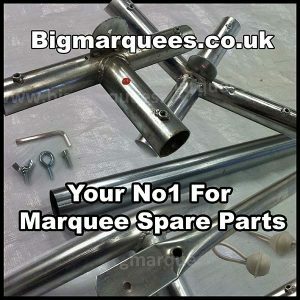 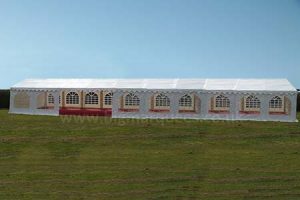 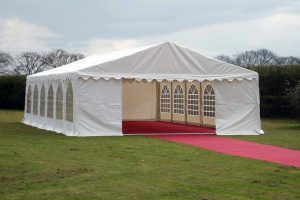 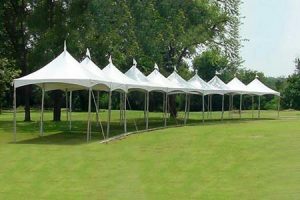 Once added to a marquee and used with a roof lining, none of the internal pole structure of the marquee is visible. 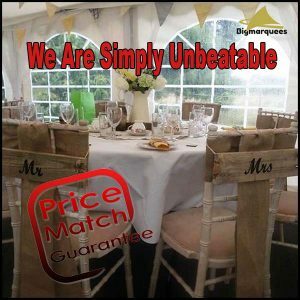 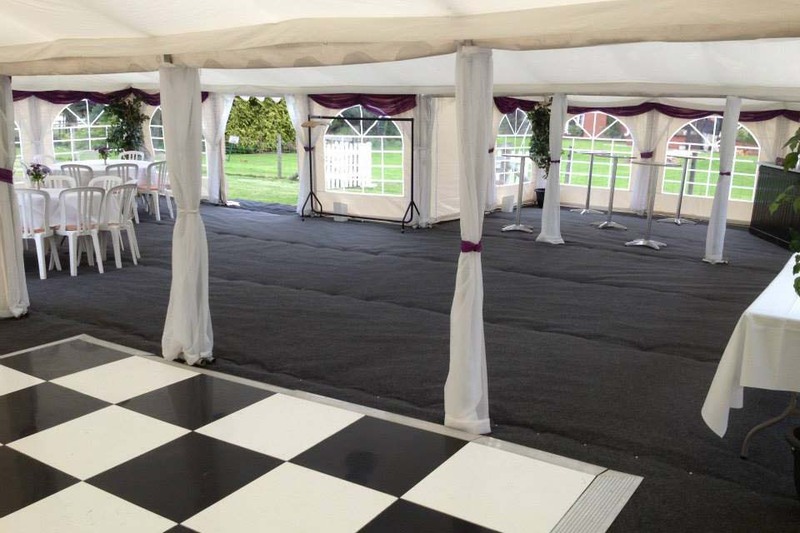 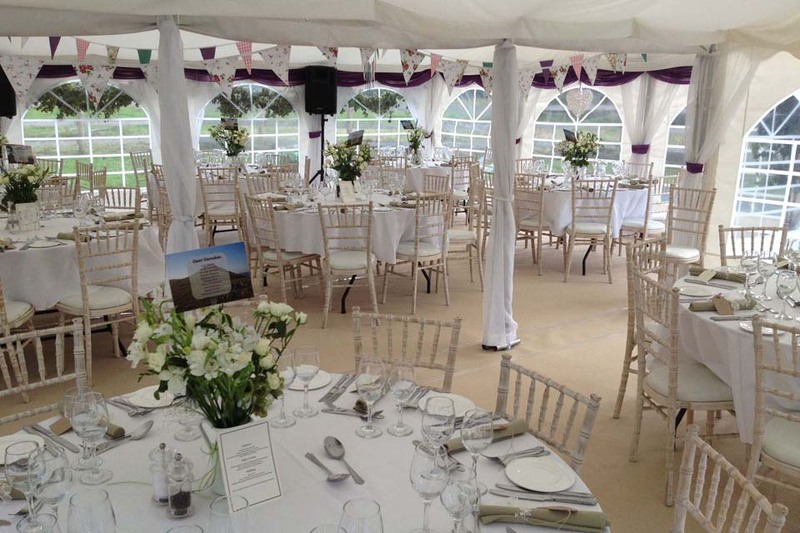 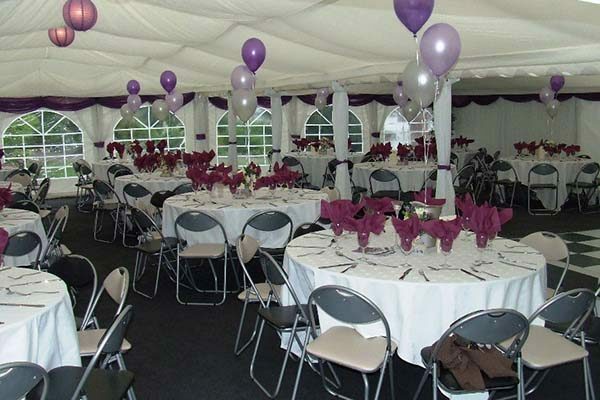 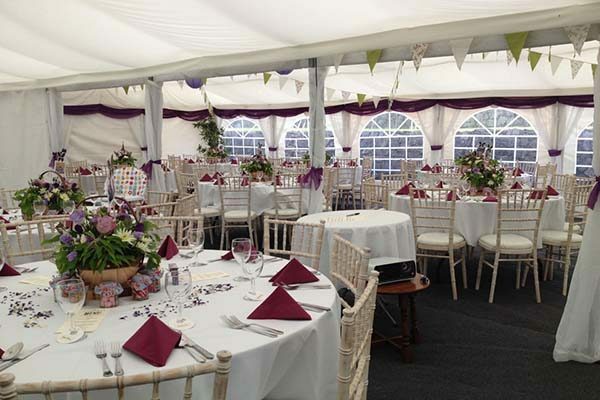 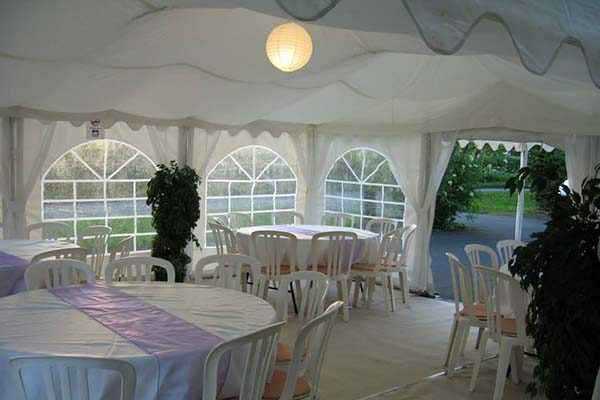 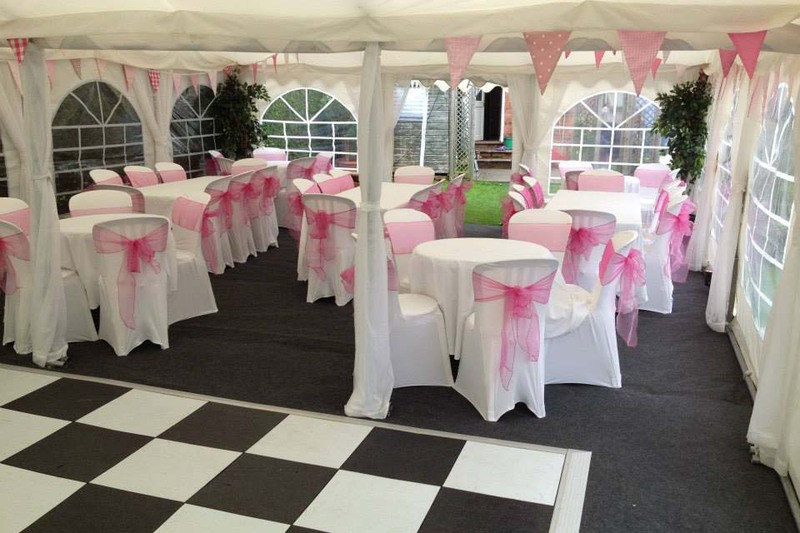 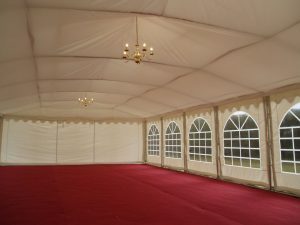 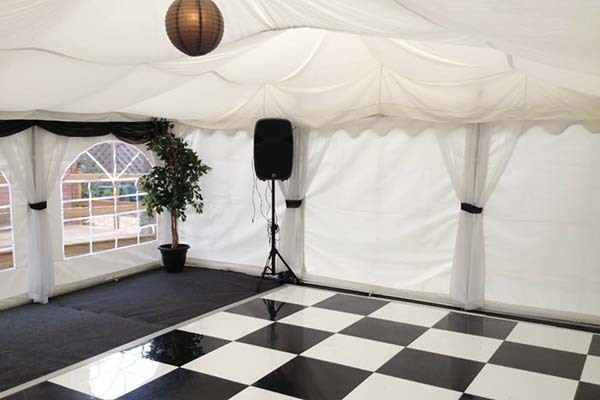 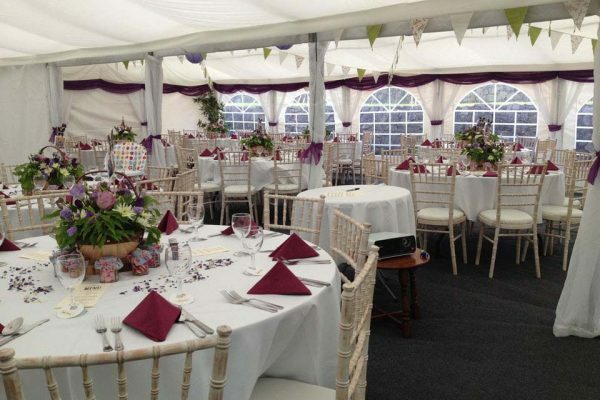 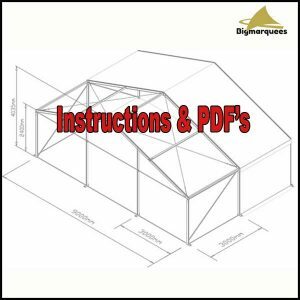 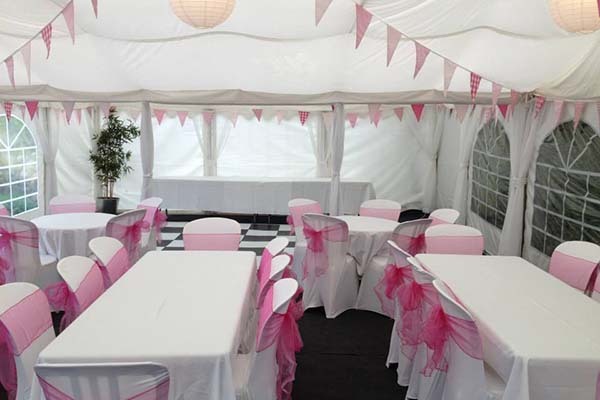 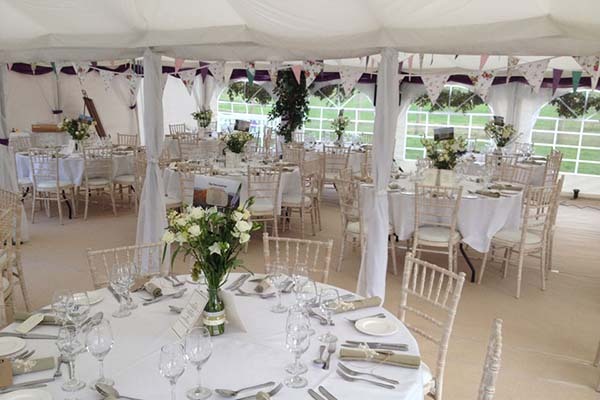 This when used inside a marquee completely transforms the inside of a marquee into a usable, warm and welcoming room.